Angela Fralick graduated with Honors from NSCC (Nova Scotia Community College Lunenburg Campus) June 2010 with Medical Office Assistant. For the next 4.5 years, Angela worked full time as a medical office assistant at a multi-disciplinary clinic that offered physiotherapy, massage, chiropractic, and personal trainer services to clients. During her time at this clinic, she saw firsthand how practitioners can help not only on an individual basis but as a team to help the client get better. She continued her learning as an office assistant by working at 2 insurance companies for another 2.5 years. 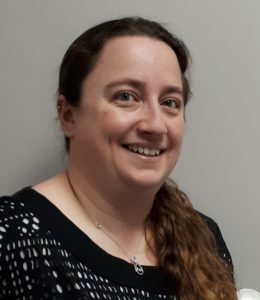 Angela decided in February 2018 to focus on treating the client as a practitioner instead of support staff where she enrolled in the Atlantic School of Reflexology to learn foot, face and craniosacral reflexology. In June 2018 she received her 500-hour Reflexology diploma after completing all her courses. In October 2018 Angela got recertification for Emergency First Aid. She joined the Reflexology Association of Canada (RAC), which is a long-standing recognized Reflexology association throughout the world, to continue her learning as a reflexologist. She completed her Reiki Level 1 and 2 training in March 2019. Reflexology–It is an invitation to help reduce the effects of stress! Direct billing is available for most extended health care plans. Please check with your provider to see what your benefits cover and if a medical prescription is needed. Pathway to Relaxation offers types of reflexology treatments to clients that support inner well-being, invite radiance to your outer facial appearance, offer natural facelift techniques and focuses on maintaining a steady, correct flow or movement in the brain and spinal cord. The most important benefit of reflexology is that it is an invitation to help reduce the effects of stress on the clients’ body through the ability to bring the body into a deep state of relaxation. Reflexology is holistic in nature providing many people with relief on the physical, mental, spiritual and emotional levels. Reflexology is the physical act of applying pressure or touch using the thumb, fingers and hand techniques on a person which result in physiological changes in the body. Foot Reflexology: Foot reflexology not only supports a client’s inner well-being but helps with total body relaxation and any issues/conditions within the body. Facial Reflexology: Facial reflexology not only supports a client’s inner-well-being, but it also invites radiance to your outer appearance. Natural facelift techniques incorporated into the routine help the facial muscles remained toned, fight signs of aging (working on reducing wrinkles) and produce a healthy skin glow. Craniosacral Reflexology: Craniosacral reflexology not only supports a client’s inner well-being but focuses on maintaining a steady, correct flow or movement in the brain and spinal cord. This type of treatment helps clients who have concussions, MVA (motor vehicle accident) issues such as whiplash and issues with spine or limited movement in the brain. Pathway To Relaxation also offers reiki treatment with chakras to clients where the practitioner (Angela) places or hovers her hands on the 7 chakra areas of the clients’ body channeling positive energy into the clients’ body. Reiki is holistic in nature and aids in activating the natural health process of the client’s body to balance the body. Reiki helps the body be able to completely relax and reduce the effects of anxiety and stress on the clients’ body. -Relief from headaches, sinusitis, earache, eye strain, neck/shoulder pain or numbness, reduction of concussion symptoms, reduction of whiplash symptoms, increased spine movement, increased energy, increased mental alertness, decrease in stress/anxiety/depression, improved concentration, increased circulation throughout the body, decrease in inflammation in body, decrease of insomnia, reduction of lymph drainage symptoms. Each treatment of reflexology or reiki will be an hour (where the health history/consent needs to be completed before treatment) at a cost of $65.00 plus tax ($74.75 in total).